MySocioLife is a platform created with a vision of helping Indian Non-Profit organisations to raise funds for the various causes they support. MySocioLife support causes that immediately needs attention and action. They are trying to raise funds for such causes through our fun platform. MySocioLife want to change the concept of contributing to the society. Donation is surely helping but how many people are actually donating? 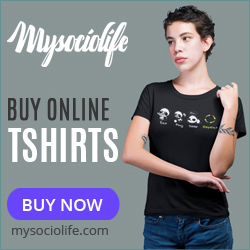 Hence, MySocioLife are trying to spread awareness through our message based quirky T-shirts. Your site will be reviewed for approval to join by Clixgalore team and Mysociolife Affiliate program. Once approved, you will have access to banners, coupon, text link etc.